I love the texture. I love the brilliant rainbow against the white contrast. And I love that you can pick any colors that you choose. I, of course, ended up with a rainbow set of 27 colors--because who can leave out golden yellow? or that mint blue? or the orchid purple? See my problem. I don't want to hurt anyone's feelings. But let me show you a couple samples from my testers. 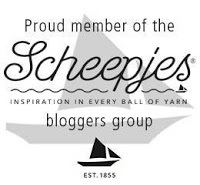 The sample made above by Sandra, was made with Scheepjes Stonewashed*. I recently made a hood out of this lovely yarn and highly suggest it. You can find my thoughts about this yarn here, and get the free Petrichor Hood pattern here. 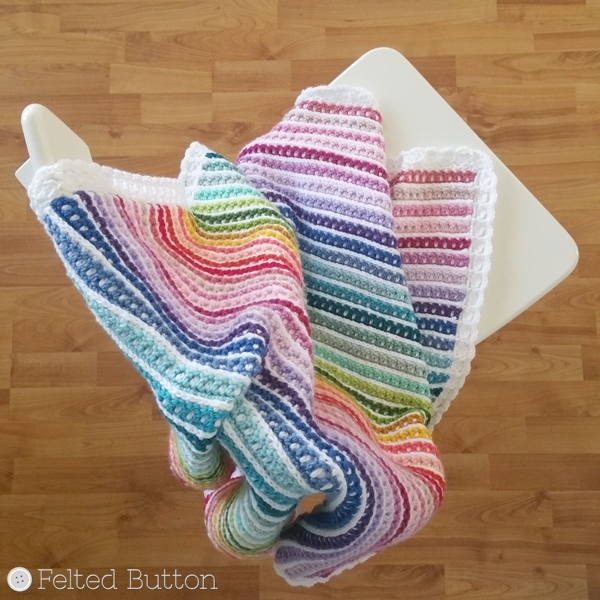 Isn't it crazy how changing up the color can transform the whole look of the blanket? 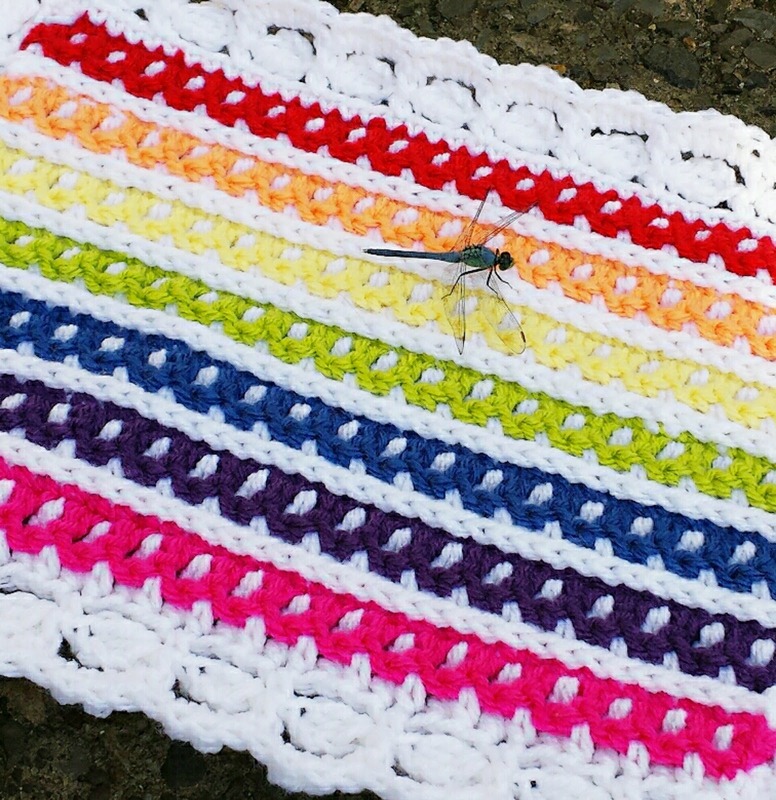 I'm thinking this design would be a lovely stash-busting blanket, too. 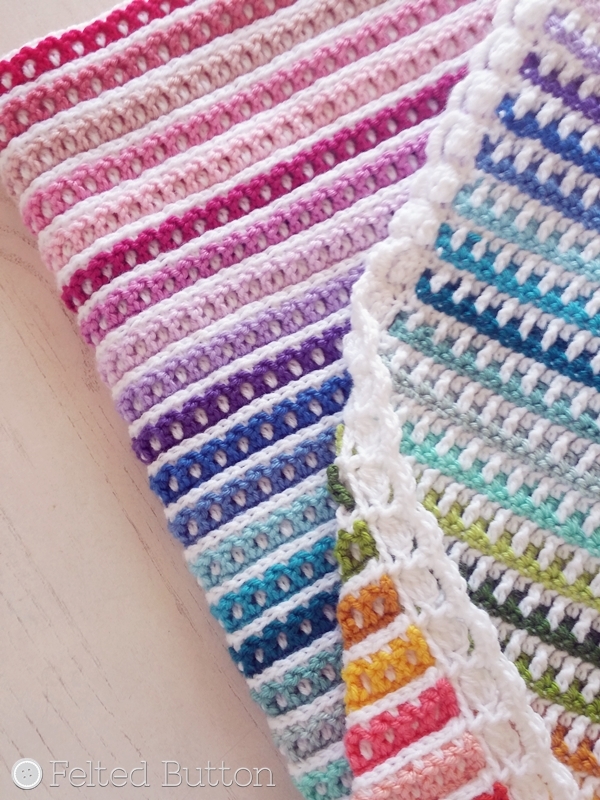 I chose Loops & Threads Colorwheel yarn for my blanket--a super soft worsted/aran with a broad palette, but I also think a superb choice would be Scheepjes Colour Crafter* that comes in over 90 colors. It's DK rather than aran, but makes a perfectly weighted blanket. The balls are 3.5oz (100g) instead of 1.75oz (50g) like the Colorwheel, but it's still a very affordable yarn and you could either make two blankets, or make this one much larger. (I include a multiple in the pattern for adjusting the size.) I recently designed this Around the Corner Blanket using the same Colorwheel yarn I purchased--only buying more white for the Janus Blanket. 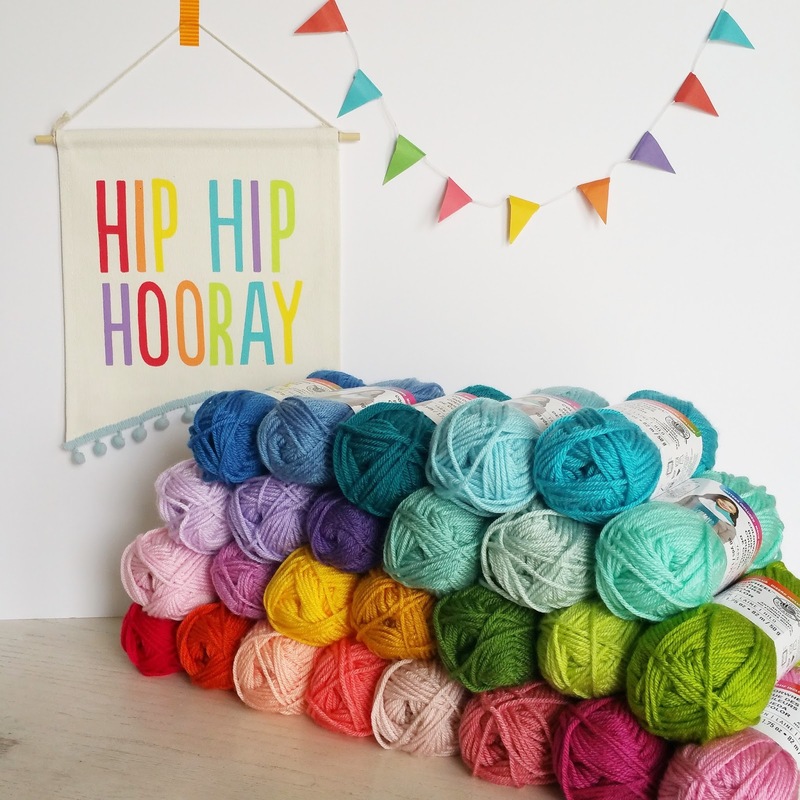 So, in other words, make more blankets with your extra yarn! Haha! 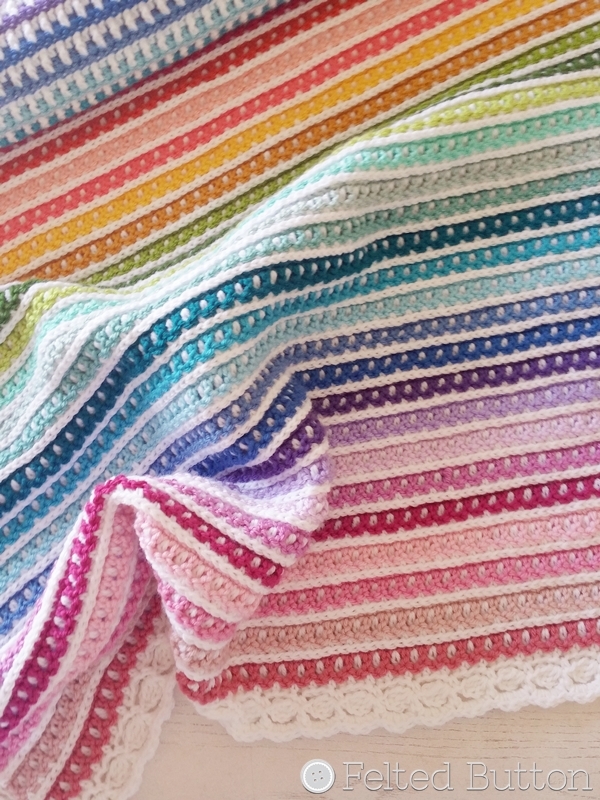 The sample is a perfect crib-sized blanket at 34” X 50” (87cm X 127cm)--but remember you have plenty of yarn to make it nearly 50% bigger--it only used 1360-1400 yards (1244-1280m). 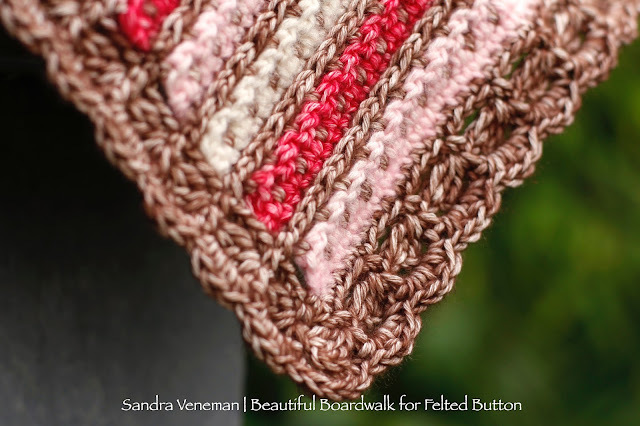 It uses basic stitches (sc, hdc, dc in US terms), but there are some interesting stitch placements and a couple of special stitches detailed in the pattern. The border instructions are also included along with a dozen pictures for additional help, if needed, but you don't need to print them. Final thought: I think the Janus Blanket would be a brilliant temperature blanket project--maybe with each stripe being a weekly average temperature. If you want to know more about my Felted Button Temperature CAL group, you can read all about it here, or join my Facebook group here. If you make a Janus Blanket--or any other Felted Button pattern--please feel free to upload your project to Ravelry or share on my Facebook page here. 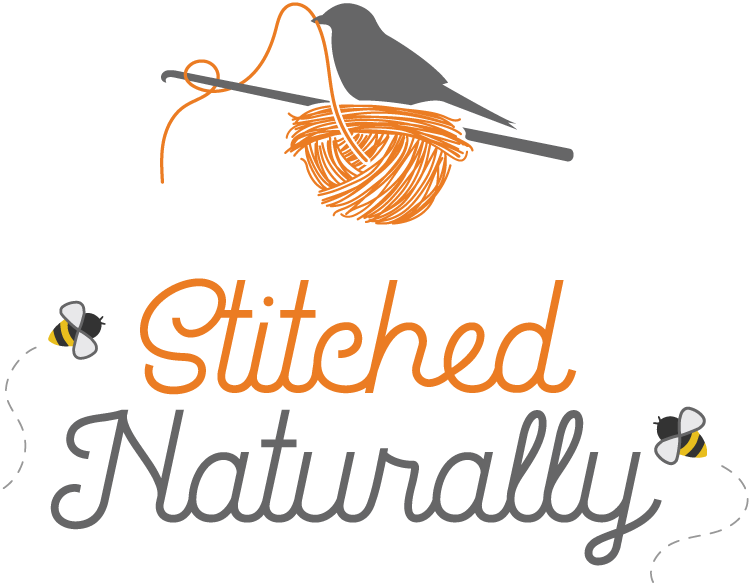 Or simply keep in the "Button" loop with Instagram here (@FeltedButton) or Pinterest here. I'm off to play in the garden! Be well. Hugs and Happy Hooking! Wow! This is just beautiful Susan! Well done. Thank you! I like thinking about it as two gifts in one! Susan, I love the colors but where did you get Loops and Threads Colorwheel? I can't find it on Michael's website. Thanks, I found mine at my local Michaels. 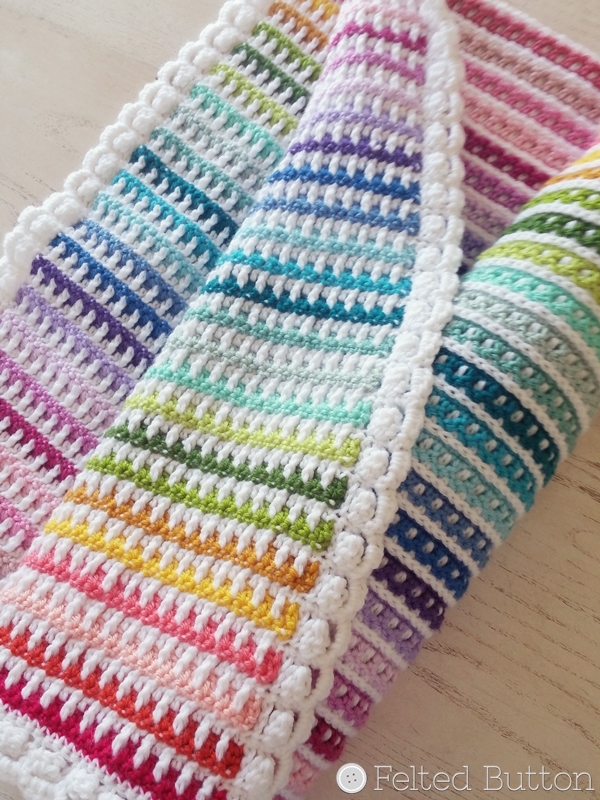 You could use Scheepjes Colour Crafter as a replacement. I love patterns that have two equally enchanting sides. 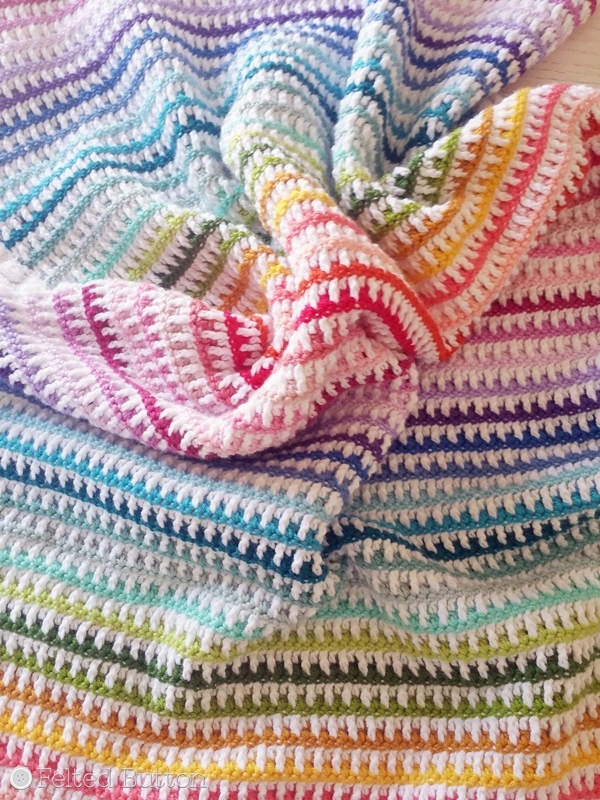 I knitted a diamond patterned blanket that formed wide stripes on the back. 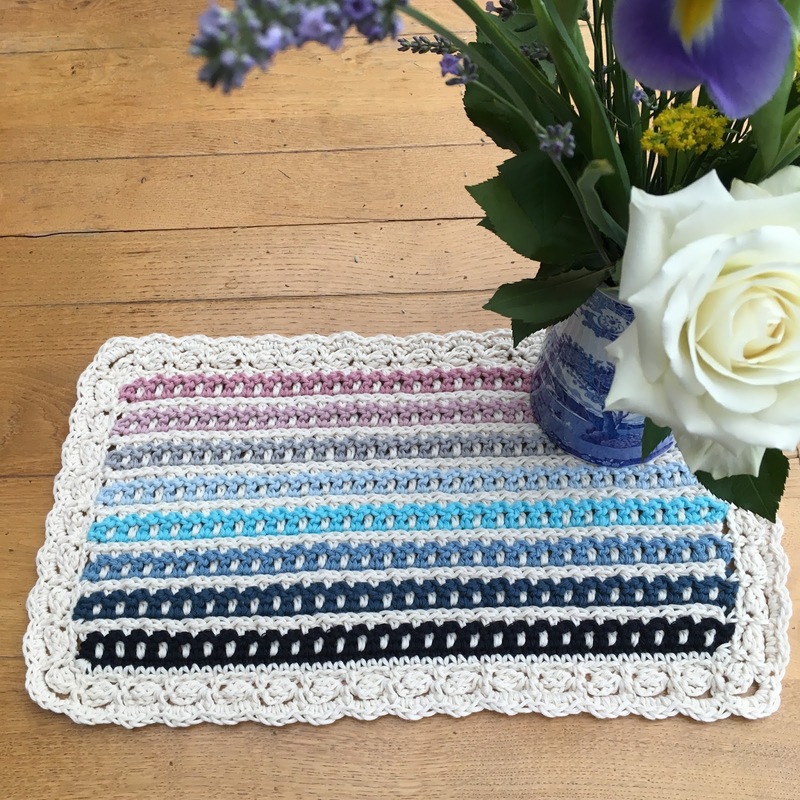 Love this crochet pattern. Lovely work of art. I love color option!!! I ordered my pattern through paypal. They sent me a receipt for payment ,I have not received my Janus Blanket pattern. Can you help? I'm happy to help you locate the download. It can be found in the shop where you purchased now and in the future. If you need more help, contact me at feltedbutton@gmail.com.